Whether you agree with Xi or not, reading his book is the best way to understand what’s next for China. China’s Internet tsar, Lu Wei, recently visited the office of Mark Zuckerberg, the CEO of Facebook. Lu found the The Governance of China, a collection of speeches by Xi Jinping, on Zuckerberg’s desk, which caused great debate at home and abroad when a photograph of the meeting was made public. Overseas media, of course, mostly mocked Zuckerberg for “pandering” to China, and even some Chinese people remain unimpressed. Shortly before this incident, I posted photos on my microblog showing that I bought this book in Nanchang and was reading it during my travels. Those photos also attracted sarcastic remarks from netizens. A friend asked me, why are you reading Xi Jinping’s book? To my surprise, in this group of cadres from the Chinese mainland, not one raised a hand, while half of the foreign experts already had a copy of the English edition, and one third of them had already read half the book or more. Certainly there’s a difference between cadres and scholars but after all, this is a Chinese leader talking about governing the country; what harm is there in reading it? I guess some cadres believe that they have always had to take part in study activities, so there’s no need to concentrate on this leader’s book. There’s another reason worth mentioning: most of what has been included in the collected writings of past leaders are official essays – the vocabulary, sentence structure, and basic thoughts are all mostly the same. Many cadres think it’s all talk, not something leaders will truly do (plus, it’s very boring to read). There are two Chinese leaders who put their political programs into books: Mao Zedong and Deng Xiaoping. The problem is that Mao Zedong was basically a “philosopher” with his head in the clouds; the things he said are confusing to people. And Deng Xiaoping was too simplistic – he decided the course of the nation in a few words, so there was no need to listen to the rest of his talk. As for the later leaders, many of their speeches rarely specifically involve what they’re actually going to go. Plus, of the things they did say they wanted to do, many of those idea were never put into practice. 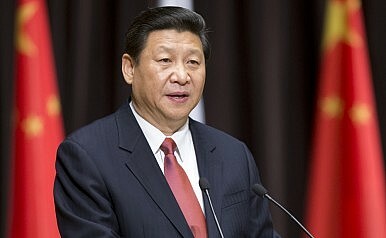 But since Xi Jinping came to power, I’ve discovered something: many of the things he’s done, he’s already talked about – and he will definitely do the things he says. Whether you like his views or not, if you want to understand China under Xi, the easiest way is to read this book. Xi has been in power for just a little over two years; he’s given many speeches, but this collection has been edited into only one volume. Still, in this one book he not only speaks in detail about everything from anti-corruption and cleaning up the Party to economic reform, caring for lower classes, and foreign policy, he also has acted on almost everything he talks about. It’s because of this that I believe reading his book is important for understanding China and Xi’s ideas on governance, and it’s important for those concepts I have always promoted in China: democracy, freedom, and the rule of law. Chinese cadres especially should read this book. I once asked some Chinese cadres what they thought about China’s foreign policy since Xi came to power. They babbled on about becoming “tougher and tougher,” “teaching this or that country a lesson,” and how a “risen China will set new rules for the game.” I asked doubtfully, “Who said all that stuff? How come I didn’t see it in the foreign policy chapters of The Governance of China? From what I saw in that book, Xi’s foreign policy line is completely different!” Some of these government insiders were a bit perplexed. They couldn’t understand how an outsider netizen like me could use their general secretary’s book to argue with them. Actually, as a scholar who researches international politics and China-U.S. politics, I also read every speech given by Barack Obama, as well as the newest comments and articles from every think tanker Obama relies on. Once I’ve understood all that, I basically know what policies Obama will put forward, no matter what. For the same reason, how could anyone who cares about Chinese politics and China’s future not read Xi’s The Governance of China? For that matter, if Internet giant Mark Zuckerberg wants to bring Facebook to China and broaden his business prospects, it’s completely normal for him to first use Xi’s book to understand the thoughts of China’s top leaders. “Know yourself and know your enemy,” as Sun Tzu said. Whether you like or dislike him, support or oppose him, reading Xi’s book will be greatly helpful if you want to understand where China is headed next. So why wouldn’t you read it? By the way, I have to announce that this isn’t a book review – I didn’t take any money to advertise it! Does China Still Want to Be a Global Environmental Leader?China Races to Catch Up on Foreign Affairs Spending China’s New Foreign Policy SetupAmid Tensions With US, China Holds An Unusually High-Level Meeting on DiplomacyIs China’s Belt and Road Initiative Increasing Crime and Terrorism?